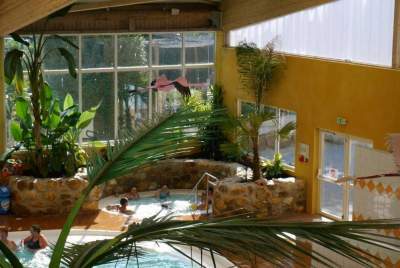 Heated indoor pool (April to September). 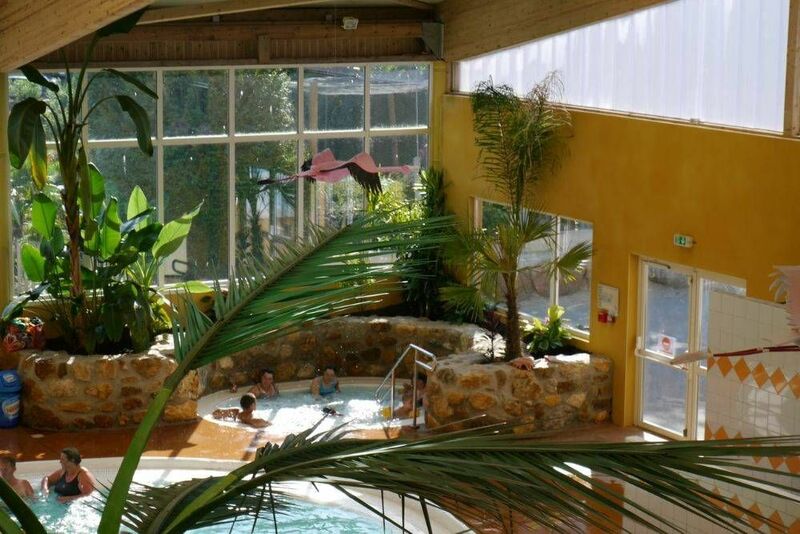 Bask in the large heated indoor water centre on your holiday and experience the joys of swimming, playing and splashing about. Big kids and little kids alike adore this 1000m² pool. 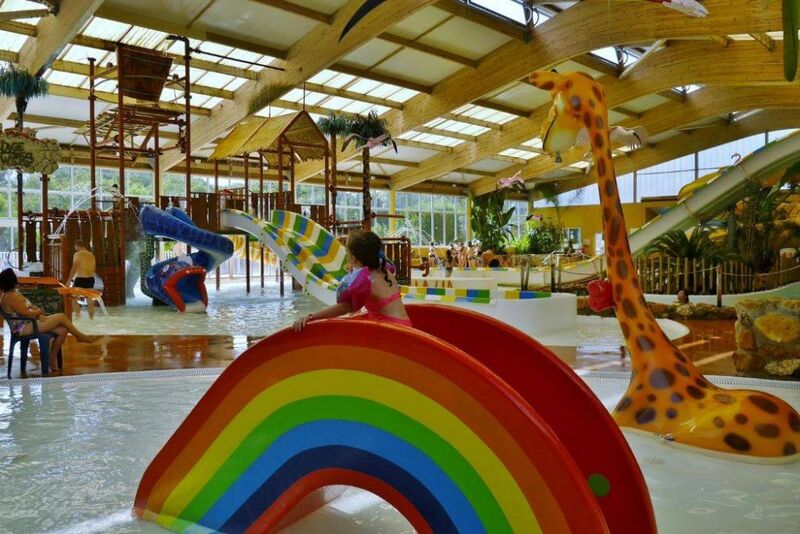 The water fun centre has a pool, river, 3 slides, 4 racer slides and pool games. Little ones can have fun in complete safety in the paddling pool. Changing room in water centre. Chill out on the sun loungers in the solarium. Night swimming in July and August. Indoor pool opening times: 10am-noon and 2pm-7pm (06/04-15/09).